In the climate-change debate, the companies on the ‘environmental’ side have the most to gain. We all know that the financial stakes are enormous in the global warming debate — many oil, coal and power companies are at risk should carbon dioxide and other greenhouse gases get regulated in a manner that harms their bottom line. The potential losses of an Exxon or a Shell are chump change, however, compared to the fortunes to be made from those very same regulations. The climate-change industry — the scientists, lawyers, consultants, lobbyists and, most importantly, the multinationals that work behind the scenes to cash in on the riches at stake — has emerged as the world’s largest industry. Virtually every resident in the developed world feels the bite of this industry, often unknowingly, through the hidden surcharges on their food bills, their gas and electricity rates, their gasoline purchases, their automobiles, their garbage collection, their insurance, their computers purchases, their hotels, their purchases of just about every good and service, in fact, and finally, their taxes to governments at all levels. These extractions do not happen by accident. Every penny that leaves the hands of consumers does so by design, the final step in elaborate and often brilliant orchestrations of public policy, all the more brilliant because the public, for the most part, does not know who is profiteering on climate change, or who is aiding and abetting the profiteers. Some of the climate-change profiteers are relatively unknown corporations; others are household names with only their behind-the-scenes role in the climate-change industry unknown. Over the next few weeks, in an extended newspaper series, you will become familiar with some of the profiteers, and with their machinations. This series begins with Enron, a pioneer in the climate-change industry. Climate changes such as global warming may be due to changes in the sun rather than to the release of greenhouse gases on Earth. Climatologists and astronomers speaking at the American Association for the Advancement of Science meeting in Philadelphia say the present warming may be unusual – but a mini ice age could soon follow. The sun provides all the energy that drives our climate, but it is not the constant star it might seem. Careful studies over the last 20 years show that its overall brightness and energy output increases slightly as sunspot activity rises to the peak of its 11-year cycle. And individual cycles can be more or less active. The sun is currently at its most active for 300 years. That, say scientists in Philadelphia, could be a more significant cause of global warming than the emissions of greenhouse gases that are most often blamed. The researchers point out that much of the half-a-degree rise in global temperature over the last 120 years occurred before 1940 – earlier than the biggest rise in greenhouse gas emissions. 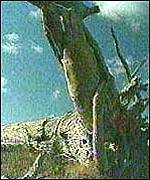 Using ancient tree rings, they show that 17 out of 19 warm spells in the last 10,000 years coincided with peaks in solar activity. They have also studied other sun-like stars and found that they spend significant periods without sunspots at all, so perhaps cool spells should be feared more than global warming. The scientists do not pretend they can explain everything, nor do they say that attempts to reduce greenhouse gas emissions should be abandoned. But they do feel that understanding of our nearest star must be increased if the climate is to be understood. Excellent 3 part video interview with Professor Ian Plimer. Professor Plimer is one of Australia’s top geologists and recently released his book Heaven and Earth: Global Warming – The Missing Science. His book has been selling like hotcakes and has been a talking point across Australia. IT is well known that many university staff list to port and try to engineer a brave new world. The cash cow climate institutes now seem to be drowning in their own self-importance. In a wonderful gesture of public spiritedness, seven academics who include three lead authors of the Intergovernmental Panel on Climate Change and a former director of the World Climate Research Program wrote to Australian power generating companies on April 29 instructing them to cease and desist creating electricity from coal. In their final paragraph, they state with breathtaking arrogance: “The unfortunate reality is that genuine action on climate change will require the existing coal-fired power stations to cease operating in the near future. “We feel it is vital that you understand this and we are happy to work with you and with governments to begin planning for this transition immediately. No evidence is provided for this statement and no signatory to this letter has published anything to support this claim. These university staff are unctuously understanding about the plight of those who face employment extinction in the smokestack towns of Australia. They write: “We understand that this will require significant social and economic transition that will need to be managed carefully to care for coal sector workers and coal-dependent communities.”. This love for fellow workers brings tears to the eyes. The electricity generating companies should reply by cutting off the power to academics’ homes and host institutions, forcing our ideologues to lead by example. Some 80 per cent of Australia’s electricity derives from coal, large volumes of cheap electricity underpin employment and our self-appointed concerned citizens offer no suggestion for alternative unsubsidised base-load power sources to employ Australians. The Emissions Trading Scheme legislation poises Australia to make the biggest economic decision in its history, yet there has been no scientific due diligence. 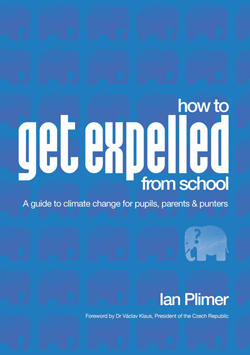 This book by New Zealand journalist Ian Wishart – a #1 bestselling author four times, surprised me by the completeness with which he reviewed and presents alternatives to the plethora of IPCC inspired spin and publicity which floods our media today. 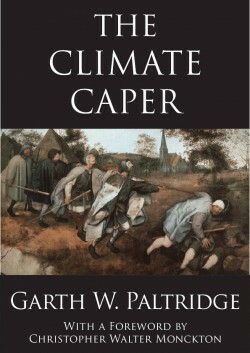 His sixteen chapters examining aspects of the debate are meticulously footnoted and thus are a valuable reference resource for those wishing to dig deeper or keep up to speed with the unfolding global warming / carbon reduction political drama in years to come. Note- AIR CON is available online for about US$22 – dont miss out – see below. Having followed much of the debate over two decades or so I was particularly interested in his last four chapters to see what the author says about where the entire IPCC driven brouhaha is heading. Wishart traces the rise and fall of Enron which after all was designed to make large profits from carbon trading. He sketches for us an entertaining international tableaux overun with mostly unelected public service professionals and swashbuckling business and financial characters. From an Australian perspective it is fascinating to watch the Rudd Goverments squirmings as it attempts to weave a local Carbon Trading Scheme CTS that will not result in disaster for our economy. Now safely postponed until after the next Federal election in 2010 there is more time for the profiteers and rentseekers to jockey for positions like a multitude of Remora beneath a shark – squadrons of latterday mini-Enrons. WASHINGTON–(BUSINESS WIRE)—The Science and Public Policy Institute (SPPI) in Washington reports that a leading expert on climate and former advisor to Margaret Thatcher as UK Prime Minister, has dismissed as false a recent claim by the Washington Post that “most scientists now say there is a consensus about climate change”; that warming is “unequivocal”; and that most of the warming of the past century was manmade. >Science is not done by “consensus”: the argument from consensus is an instance of the Aristotelian logical fallacy known as the “head-count” fallacy. >The decision by the UN’s climate panel to attribute more than half of the past 50 years’ warming to humankind was taken by an unscientific show of hands. >The UN’s chapter attributing most of the past half century’s warming to humankind was rejected by most of the UN’s own official reviewers. >The warming rate from 1975-1998, when humankind might have had some influence, was the same as the rate from 1860-1880 and from 1910-1940, when humankind’s influence was negligible. >There is no anthropogenic signal at all in the global temperature record. >For 15 years there has been no statistically-significant “global warming”. >For 7.5 years there has been rapid but largely-unreported global cooling. >The greatest warming rate in the past 300 years was from 1645 to 1715, before the Industrial Revolution began. That warming rate was eight times the 20th-century warming rate. >The warming of the past 300 years is indeed unequivocal, but the mere fact of the warming tells us nothing of its cause. There is no scientific basis for attributing most of it to humankind. >The notion that “2,500 scientists” personally agreed with the 2007 assessment report of the UN�s climate panel is nonsense. >The largest-ever survey of scientific opinion – the largest to date – found more than 31,000 scientists did not consider the human contribution to “global warming” significant enough to be dangerous. >Much of the UN’s reports are written by environmental campaigners, not scientists. Robert Ferguson, SPPI’s president, said: “In a May 19 article by David Fahrenthold, yet again the Washington Post has been caught out publishing false science, selective data, and faulty conclusions. It is time that certain sections of the news media realized that, as every opinion poll shows, fewer and fewer of the public are any longer believing the politically-driven nonsense they write about ‘global warming’”. Asks Ferguson, “Has the Washington Post resurrected former Post reporter Janet Cook? Instead of fabricating an 8-year-old heroin addict, has Fahrenthold fabricated a “consensus” about global warming science? Like Cook’s story, the Post’s report proves bereft of evidence and reality. On April 17, 1981, shortly after Cook and the Post were exposed, the New York Times editorialized, ‘When a reputable newspaper lies, it poisons the community; every newspaper story becomes suspect.’ We could not have said it better. Even more tragically, these climate fantasies put at risk the economies and liberties of the Western World and the lives of many in the Third World. Where is the accountability?” See story here. The tide on climate change is starting to turn. 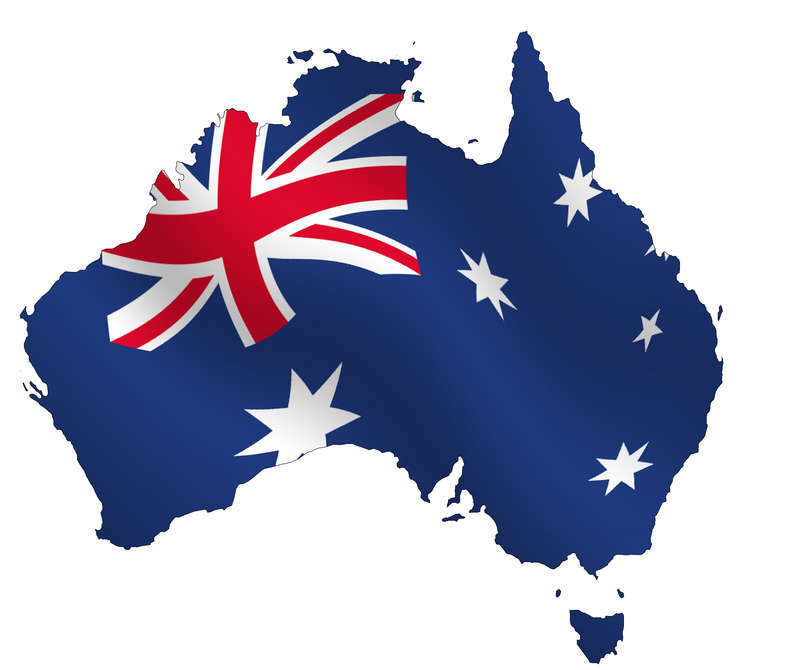 The Australian government is becoming more cautious. It is rare to read a new book likely to make a huge difference to public opinion. Professor Ian Plimer’s 500 page book with 2300 footnotes “Heaven and Earth. 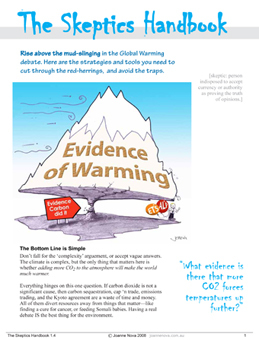 Global Warming: The Missing Science” is such a book. 30,000 copies were sold in its first month. Plimer is not a climate change denier, because history shows the planet is dynamic and the climate is always changing, sometimes drastically. Ice Ages have come and gone and we don’t know why. History has seen glaciers at the equator and at one time Scandinavia was under 5 kilometres of ice. Sea levels have been 130 metres lower than today. Some consolation comes from the fact that ice sheets predominated for only 20 per cent of the earth’s history. 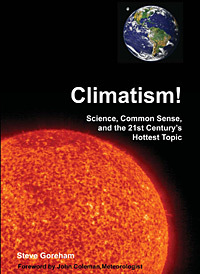 Plimer demonstrates that a considerable amount of scientific evidence has been produced to counter the still predominant view that human activity, especially through industry, has polluted the atmosphere with carbon dioxide, which will produce disastrous climate changes including a rise in temperature, a melting of the ice caps and rising sea levels. Contrary evidence is already changing the debate. Australia, with its tiny economy, is no longer aiming to lead the world. The threat of massive job losses and increasing awareness of new evidence will provoke even greater caution in the future. Originally we were warned about the “greenhouse effect”; then it was “global warming”, followed in turn by “climate change”. Now we talk about reducing the “carbon footprint”. 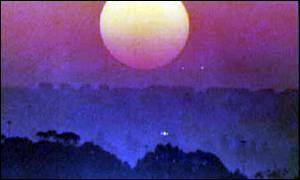 The light is dawning and 30 per cent of scientists are sceptics or deniers. Non-scientists should not blindly follow expert opinion and this includes Plimer. To the extent we can, we should examine their evidence. While it is still early days in the debate, Plimer’s critics have been heavy with the abuse and short on counter evidence. We should also look back at history for more accurate information and ignore computer models of the long-term future. Climate models making claims for decades into the future cannot work, because we do not know enough about many factors which influence weather, such as the level of activity of the sun, the earth’s orbit and wobbles, the level of cloud cover, volcanoes. One basic claim of Plimer is that an increase of carbon dioxide does not cause temperature rises, but might follow such rises. What do we make of these facts? The carbon dioxide in the atmosphere continues to rise, but the world’s temperature has not risen since 1998. In Roman times and in the Medieval Warming (900 – 1300 A.D.) temperatures were higher than today by five and six degrees Celsius. No industries then! In different Ice Ages the earth’s atmosphere contained five and ten times the amount of carbon dioxide today. Evidence shows the wheels are falling from the climate catastrophe bandwagon. The body that monitors UK airspace is seeking a solution to the potentially disastrous problem of commercial and military aircraft disappearing in radar blackout zones caused by wind farms. National Air Traffic Services (Nats) has asked Raytheon, the American defence company, to design the world’s first system for allowing radar to see through wind farm interference. The cost of the £5 million project is expected to be picked up by the wind energy industry. Wind farm turbines create a Doppler effect as they turn, which shows up on radar screens. As the area and number of these wind farms has increased, the number of radar blackout zones has also risen. Aircraft passing through the area can disappear in the blackout and air traffic controllers can lose their exact position. Posted by honestclimate in Temperature. In 2006, after 25 years and 50 million preventable deaths, the World Health Organization reversed course and endorsed widespread use of the insecticide DDT to combat malaria. So much for that. Earlier this month, the U.N. agency quietly reverted to promoting less effective methods for attacking the disease. The result is a victory for politics over public health, and millions of the world’s poor will suffer as a result. The U.N. now plans to advocate for drastic reductions in the use of DDT, which kills or repels the mosquitoes that spread malaria. The aim “is to achieve a 30% cut in the application of DDT worldwide by 2014 and its total phase-out by the early 2020s, if not sooner,” said WHO and the U.N. Environment Program in a statement on May 6. Citing a five-year pilot program that reduced malaria cases in Mexico and South America by distributing antimalaria chloroquine pills to uninfected people, U.N. officials are ready to push for a “zero DDT world.” Sounds nice, except for the facts. It’s true that chloroquine has proven effective when used therapeutically, as in Brazil. But it’s also true that scientists have questioned the safety of the drug as an oral prophylactic because it is toxic and has been shown to cause heart problems. Most malarial deaths occur in sub-Saharan Africa, where chloroquine once worked but started failing in the 1970s as the parasite developed resistance. Even if the drugs were still effective in Africa, they’re expensive and thus impractical for one of the world’s poorest regions. That’s not an argument against chloroquine, bed nets or other interventions. But it is an argument for continuing to make DDT spraying a key part of any effort to eradicate malaria, which kills about a million people — mainly children — every year. Nearly all of this spraying is done indoors, by the way, to block mosquito nesting at night. It is not sprayed willy-nilly in jungle habitat. WHO is not saying that DDT shouldn’t be used. But by revoking its stamp of approval, it sends a clear message to donors and afflicted countries that it prefers more politically correct interventions, even if they don’t work as well. In recent years, countries like Uganda, Tanzania and Zambia have started or expanded DDT spraying, often with the help of outside aid groups. But these governments are also eager to remain in the U.N.’s good graces, and donors typically are less interested in funding interventions that WHO discourages. “We must take a position based on the science and the data,” said WHO’s malaria chief, Arata Kochi, in 2006. “One of the best tools we have against malaria is indoor residual spraying. Of the dozen or so insecticides WHO has approved as safe for house spraying, the most effective is DDT.” Mr. Kochi was right then, even if other WHO officials are now bowing to pressure to pretend otherwise.